"Car was primed and ready to paint. Predrilled holes made it simple to add the tungsten putty to bring car to 5 oz. Added my polished wheels and axles and with tuning, was able to win fastest overall of field of 38 cars." The Lazer is a pre-weighted pinewood derby car body that is primed and ready for paint. Just paint and add wheels and axles of your choice, graphite the axles, and you're off to the races! 1. Wood is sealed and primed...the color is grey. You can leave it as is, or paint over it or just add sticker or decals and off you go! 3. Car is balanced and rear weighted for optimal speed. 4. The slots have been drilled so you can easily insert your axles in 5 minutes. 5. We also drilled an optional "raised wheel" axle hole above the front left slot. If your rules allow, raising one wheel is a proven speed technique. 6. There are small holes on the bottom so you can add small amounts of weight to bring the car up to 5.0 oz...use Tungsten BB's or Tungsten Putty. This is an Official BSA block with axle slots that conforms to all Cub Scout rules. This is a car body only and does not include axles or wheels. Fastest Time for entire pack! This was our 1st Derby Race. I had no idea how amazed everyone would be with the speed of this car. I was just happy to have been able to enter the event since we had no car and no time to build one. I got this car and finished the build with all BSA supplies from Pinewood Pro. I overnighted what we needed after talking to Joe regarding our needs and wants. There was no competition for us as we smoked every other car! It was amazing to see the joy on my sons face during this entire event. He was so proud of his car. 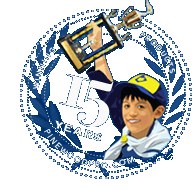 I highly suggest anyone who reads this that has a race coming up uses the tools and cars from this site to build their car as you will never forget your Pine Wood Derby Race experience thanks to PineWood Pro!!!! They are truly the master makers of Derby racing! Car was primed and ready to paint. Predrilled holes made it simple to add the tungsten putty to bring car to 5 oz. Added my polished wheels and axles and with tuning, was able to win fastest overall of field of 38 cars. Won our pack and went to finals and out of 6 races placed first 4 times and 2 second place . Great design was easy to add the Pro Wheels and Pro Axel s, assembled with son and let him decorate. Was out of town during registration of race hadn't put graphite the axle's yet. Wife didn't know thus car was in lock down and had to race dry. Son still won his den and advanced to pack championship ended up taking 3rd overall. However here is the great part we then were able to graphite the axel's and continue racing for fun and raced the overall champ 3 times and beat him easily the car went 3mph faster (scaled of course) with the graphite which put us 2mph FASTER then the overall champ. This was a blessing because what fun would it be winning overall the first year. Now he still has something to shoot for next year!! Thus the perfect storm!